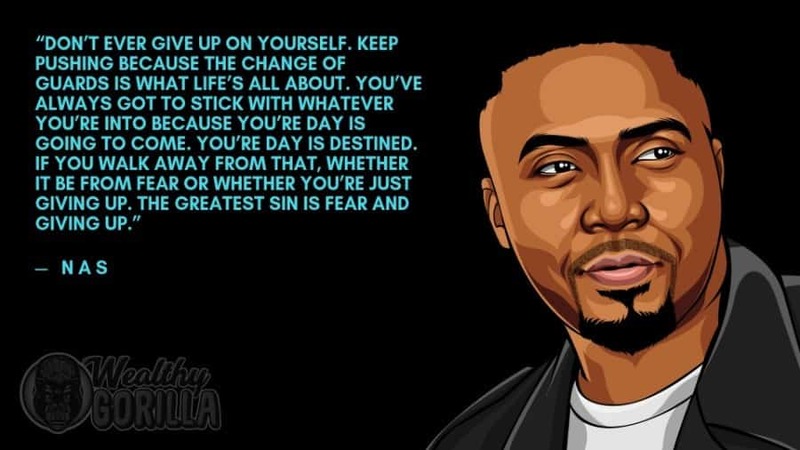 Nas is an American rapper, hip hop record producer, entrepreneur and actor. He’s sold over 25 million records worldwide, and had 8 albums in a row be certified platinum. Nas has his own record label, owns a Fila sneaker store, and serves as associate publisher of Mass Appeal magazine. As of 2019, Nas’ net worth is roughly $60 million. Nas was born Nasir bin Olu Dara Jones, on the 14th September, 1973, in Brooklyn, New York. His mother was a postal service worker, and his father is a jazz and blues musician. When Nas was a child, his family moved to the Long Island City neighborhood of Queens. His neighbor influenced his initial interest in hip hop by playing him records. His parents divorced in 1985, and he dropped out of school after the eighth grade, but began playing the trumpet and writing his own rhymes. Nas was originally recording music as a teenager under the name “Kid Wave”, with the help of his neighbor to be his DJ. 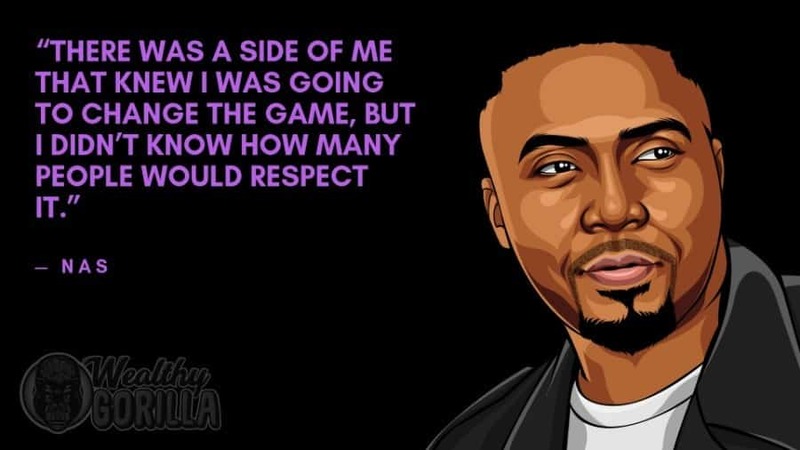 In the late 80’s, Nas met up with Large Professor, and would go to the recording studio. 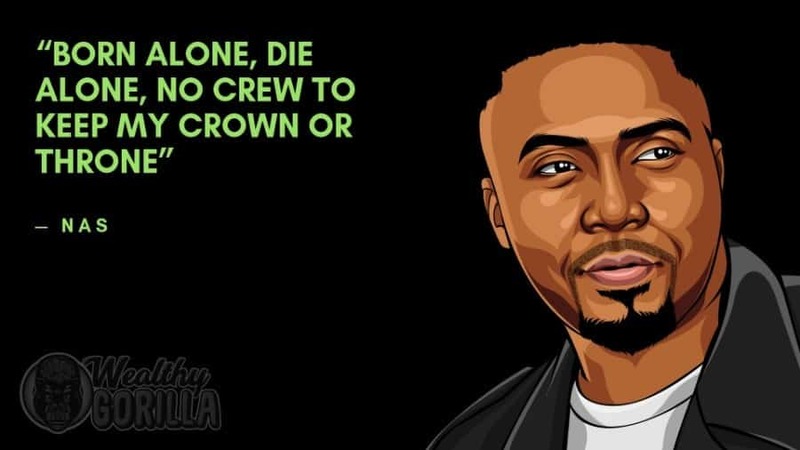 Nas often used the recording studio to produce, but none of his work done there was ever released. 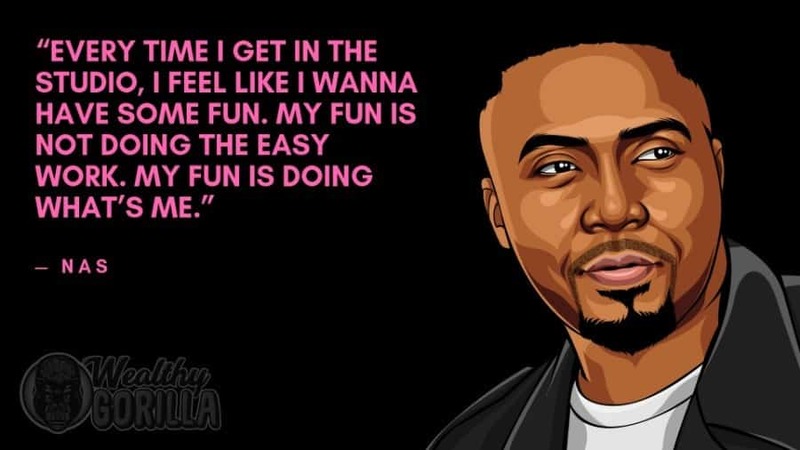 In the early 90’s, Nas was signed to Columbia records, and his debut album was released in 1994. It was awarded best album of 1994 by The Source, and the success of the album sparked more hits from Nas. Nas went on to release many more albums over the years, and in 2001 his dispute with Jay-Z hit the media. With the pair each firing diss tracks at one another. 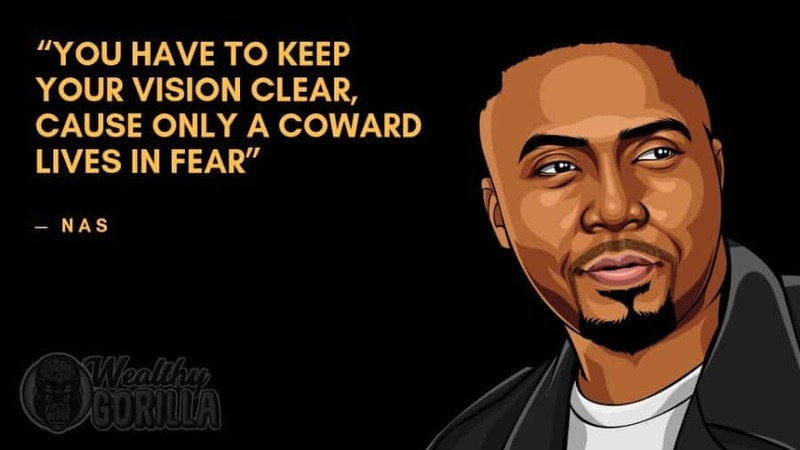 Nas has sold over 25 million records worldwide, which is an incredible achievement; and as of 2019, Nas’ net worth is $60 million, making him one of the richest rappers in the world. Nas is both an accomplished rapper, and entrepreneur, with the diversification of his career strengthening his income. 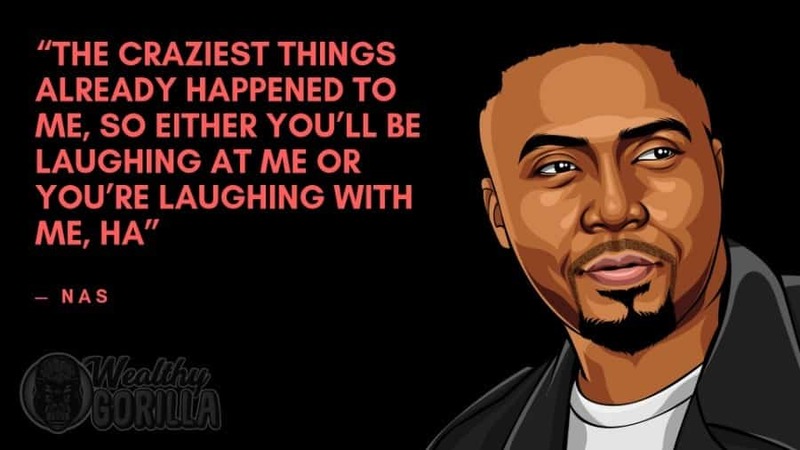 As of 2019, Nas’ net worth is estimated at $60 million. 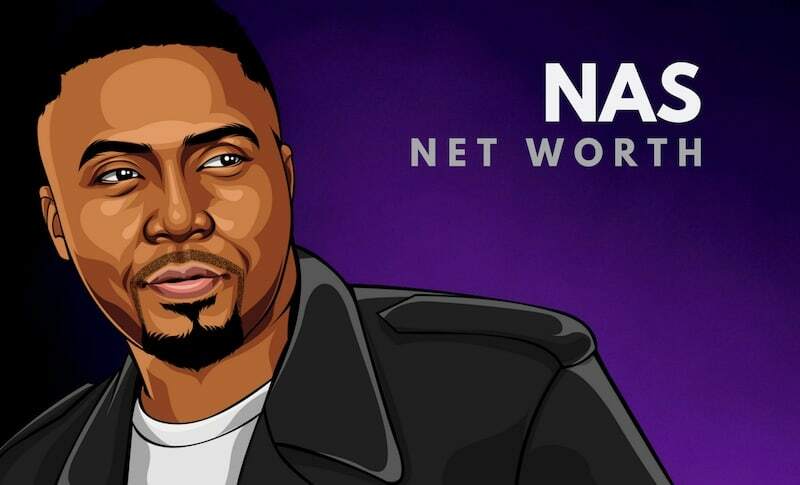 What do you think about Nas’ net worth? Leave a comment below.